Buzzed-up, electrified country blues. No banjos. 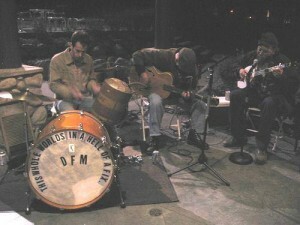 Charlie Parr, Christian McShane, and Dave Frankenfeld.